Anything mini is pretty cool. So are baking leftovers. 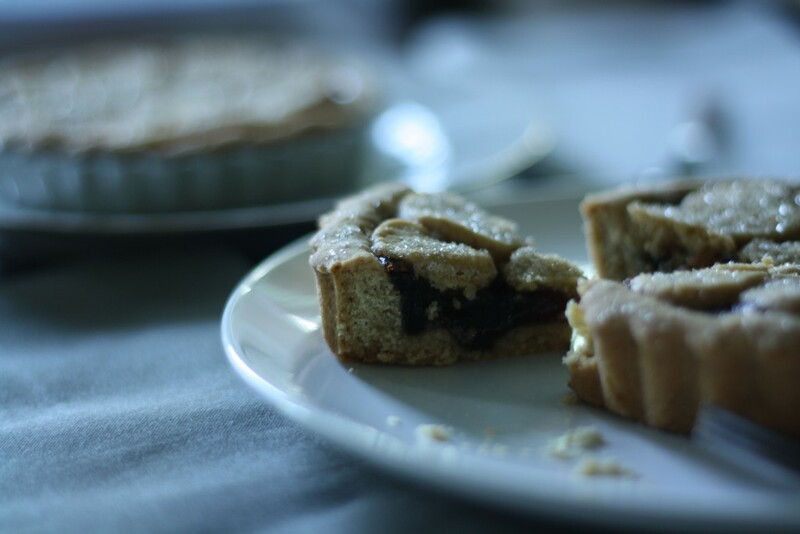 I used the dough from the brown sugar poppy seed cookies (minus poppy seeds) as a crust for these mini tarts, and added some jam as a filling. 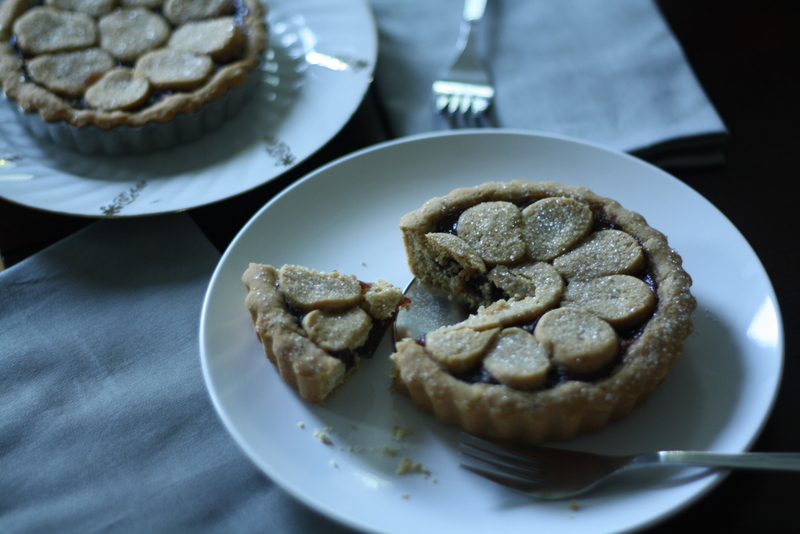 It turns out that mini tarts taste exactly like giant thumbprint cookies; both of which are delicious. Add egg, cream, and bourbon, to the butter mixture, and stir until combined. Add the flour in two batches, stirring completely after each addition. 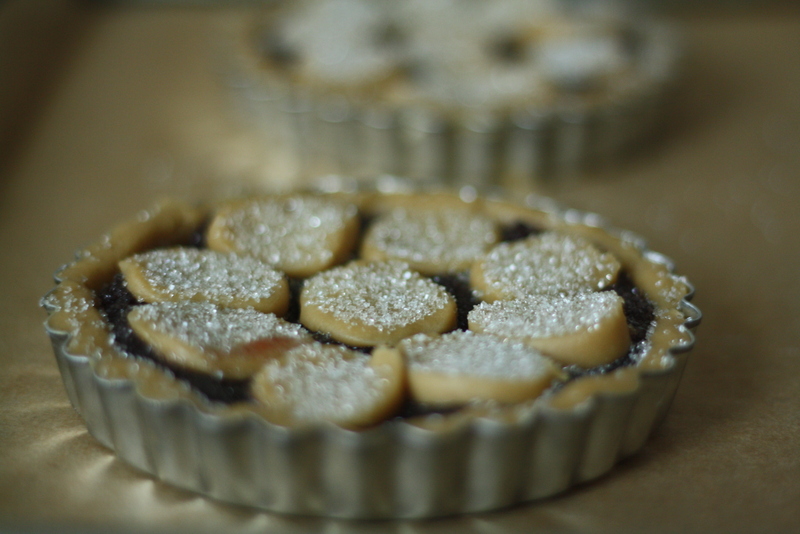 When you are ready to bake the tarts, preheat the oven to 375. Divide the dough into five equal portions. Roll one portion of the dough into a log about 1 inch diameter, wrap in plastic and chill in the fridge. 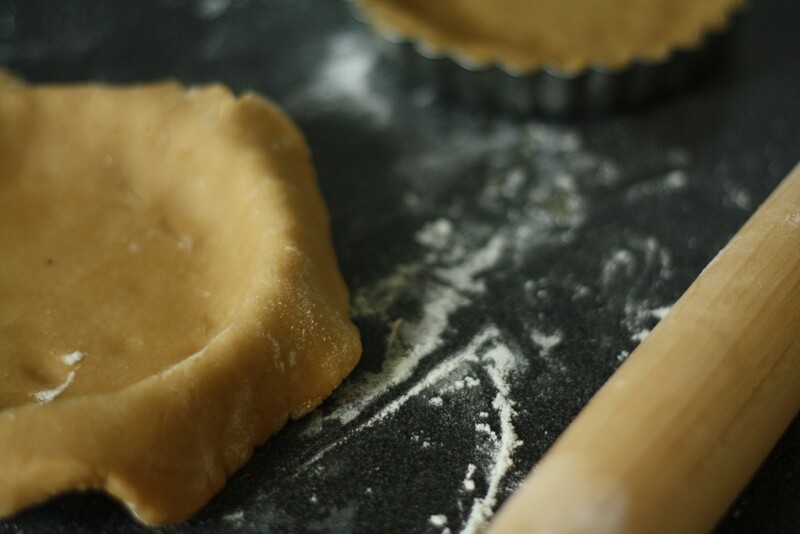 On a floured surface, roll out the dough to about 1/4 inch thick and carefully transfer it to the tart pans. 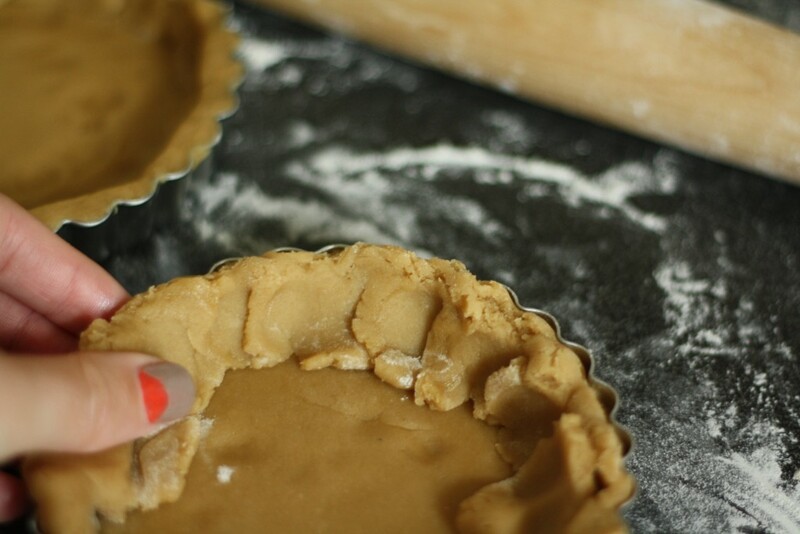 Trim the dough so there is about an inch of overhang, then fold over and crimp to create double-thick sides. 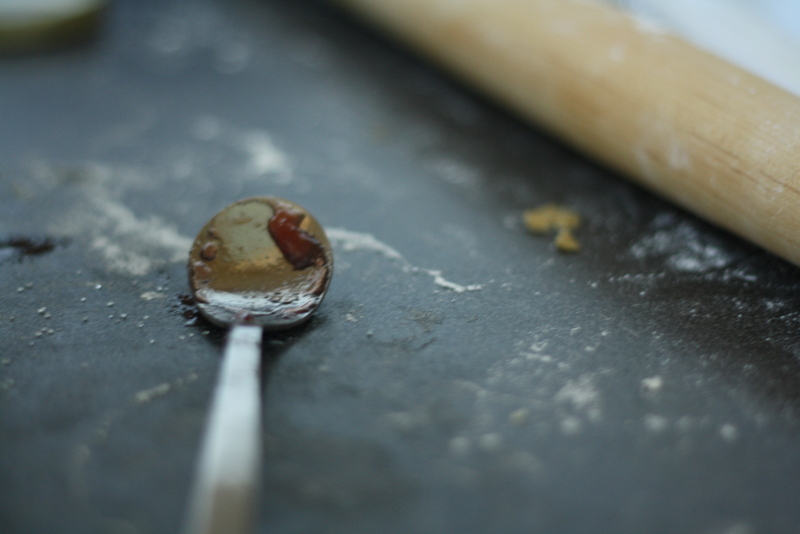 Spoon about 1/4 cup of jam into each shell. Slice the log into rounds about 1/4 inch thick, and cover the tart with as many rounds as can fit comfortably. Sprinkle with coarse sugar. 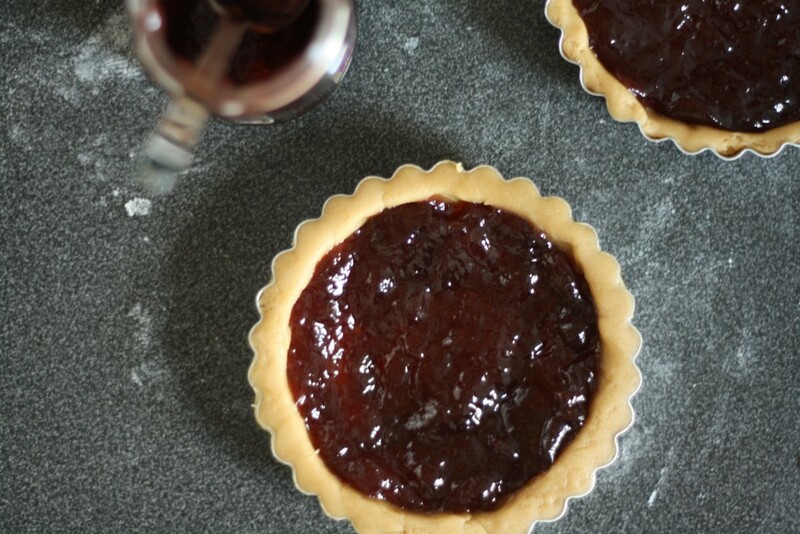 Bake for about 20-25 minutes, or until the crust is brown, and the jam is bubbly.